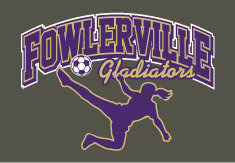 FOWLERVILLE H.S. SOCCER Apparel and Accessories are now available to order online! ORDER DEADLINE IS SUNDAY, MARCH 17th at 11:59 pm. NO ORDERS WILL BE ACCEPTED AFTER THE MARCH 17th ORDER DEADLINE.